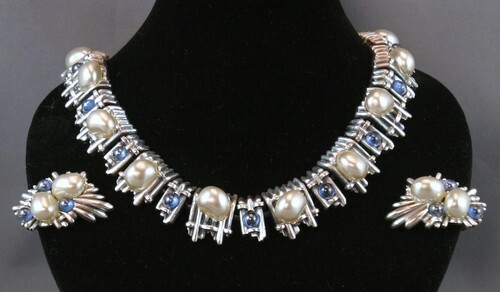 Tortolani necklace set, silvertone with faux pearls and blue cabochons. Matching clip-on earrings. The necklace measures about 20 inches overall.